Our organization offers superior quality Renaissance ( Medium Color) Acrylic Solid Surfaces to clients. 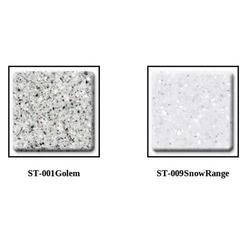 These solid surfaces are procured from reliable global manufacturers and are in compliance with industry standards. Acrylic solid surfaces find extensive application in residential, commercial and corporate establishments. Corian® Linen is a natural, neutral texture with soft small white and light brown particles, compatible with natural stone. 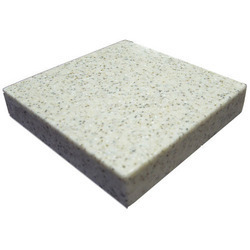 With the valuable assistance of skilled team of professionals, we are engaged in offering an extensive range of high-quality Corian Sorrel Solid Surface. - Welds practically all types of aluminum - sheet and cast. - Gives welds that are stronger than pure aluminum. - Provides easy slag removal. We are a remarkable entity in this domain, engaged in offering a qualitative assortment of Black Solid Surface. Alticor answers the need for a fine, budget friendly product to shape your dreams when it comes to straight applications. Alticor is a modified acrylic solid surface used for straight applications. A Two component Polyamide cured surface tolerant primer based on Polysulfide modified epoxy resin incorporating zinc phosphate pigment.